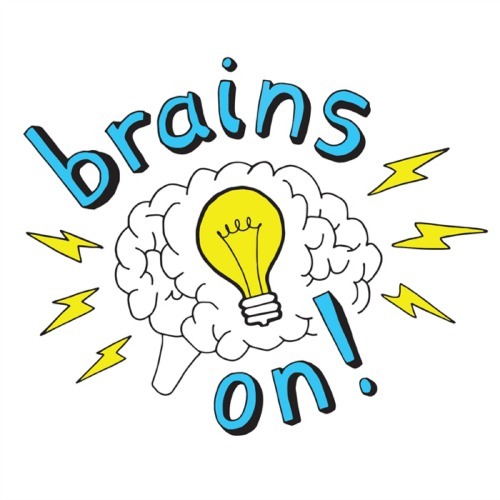 We first listened to a Brains On! podcast on a road trip a few years ago. 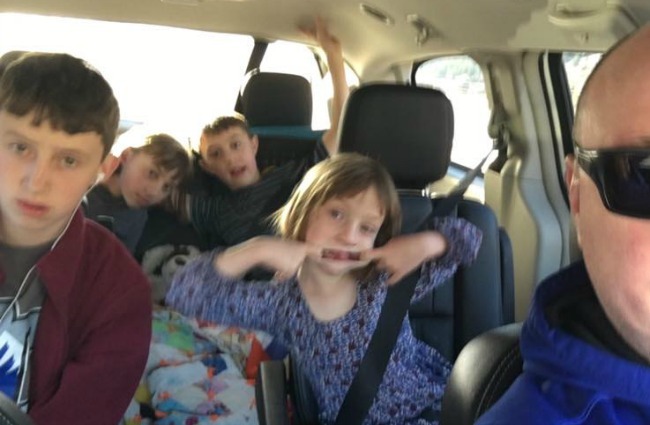 We drive to California at least once a year, so we’ve got a good 20 hours in the car to keep ourselves entertained. 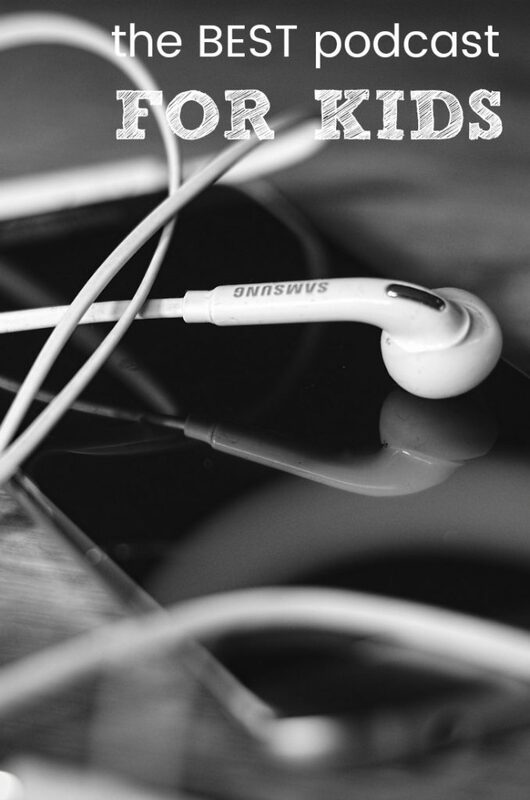 Everyone has tablets and books and movies and stuff, but on that trip, I got some recommendations for podcasts for kids to change things up a bit. I’ve noticed when you listen to something as a whole family, that’s when you have conversations and shared memories and all those things you’re trying to capture on a vacation in the first place. So we loaded up some Brains On! 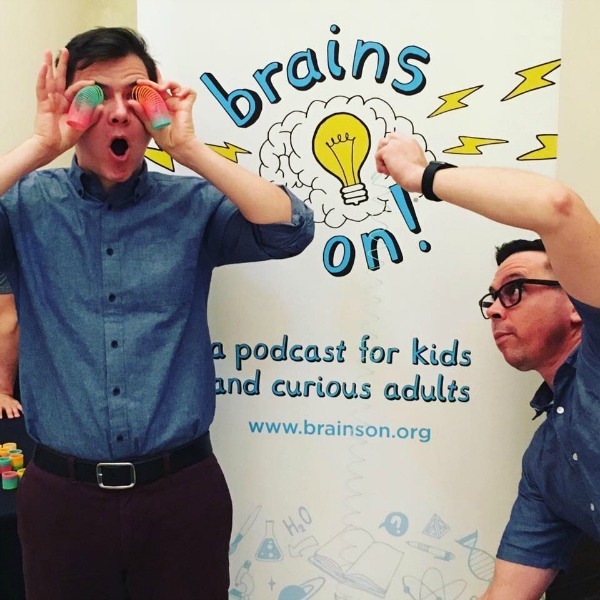 podcasts for kids. And we binge-listened through all of Utah. It’s one of those rare shows that are educational and interesting for kids but that parents enjoy as well. If you’re unfamiliar – the show answers a variety of scientific questions sent in or inspired by kids. So when I had a chance to interview host Molly Bloom, I might have geeked out a little. As they head toward their 100th episode in February, she talked about how they make the show so relatable to kids and adults. “We don’t have science backgrounds. We talk to a lot of smart people,” and they have those people explain things in a way all of us can understand. if you had a lake of lemonade, would it rain lemonade? if there were an Opposite Day, how would you really know since everyone would be telling you it wasn’t? if the universe is expanding, what’s it expanding into? Where does it go? The girl who asked the last question was able to interview an astrophysicist and co-host a podcast about the nature of the universe. photo courtesy of Brains On! As a Girl Scout leader and a mom of two girls, I’m especially interested in how to encourage girls to pursue careers in science-related fields. Molly says, “Part of it is to see what they’re naturally curious about. Everything has a science component” that can be pursued. 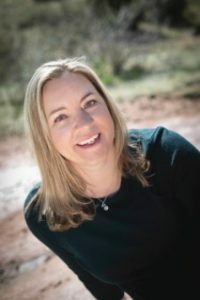 She says the show also works hard to present good models – their interviews often feature female scientists, and she says they make a special effort to find younger scientists for girls to look up to. They also feature scientists in a lot of different fields. Kids can learn about the science of making video game music, or the scientists who study octopuses, or hear from an astronaut on the International Space Station about circadian rhythms – their hope is to broaden everyone’s understanding of the cool jobs scientists can do. The podcast moves quickly – “We like to change it up a lot,” says Molly, “So every five minutes it’s going to sound different.” Kids can guess the Mystery Sound, or hear a song about the electromagnetic spectrum, or listen to a radio drama within the scope of one episode. After almost 100 episodes, I had to ask Molly which one was her favorite. She loves the episode that talks about where language comes from – my favorite part of that one is when they look at the evolution of the word “silly” over hundreds of years. But she has another show that’s close to her heart as well. …and NOW you see why my family loves this show.